October 18, 2018 By Kevin Gerkin in Caring for your home,Home Improvement,money saving tips. “Rental properties are great for extra income for many homeowners, but if you want to have a consistently rented property, you’ve got to know where to invest your money to get the highest return on your investment. 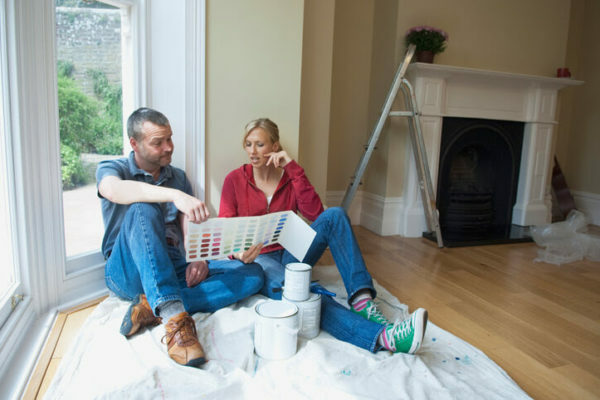 Minor upgrades and renovations not only help boost your rental property’s value, but they also attract renters that may not have been interested before. You don’t need to break the bank when it comes to changing things up: invest wisely and always be aware of ways of keeping your home competitive for your local market to ensure a consistent stream of additional income for you and/or your family. Functional Bathrooms – To help increase the value of your rental property and catch potential renters’ eyes, ensure that ALL bathrooms in the home are functional and that the bathrooms are clean and don’t frighten people away. Practical Kitchens – For many, the kitchen is one of the most important rooms in an entire house. For a rental property, the kitchen needs to not only be practical in terms of working appliances and ample storage, it also should look nice and updated. Low-Maintenance Landscaping – Investing in low-maintenance or no-maintenance landscaping for your rental property can give it an extra boost above the local competition.